Olympic College is dedicated to the enrichment of our diverse communities through quality education and support to assist students to achieve their educational goals. Olympic College is a public two-year community college that educates more than 13,000 students a year. 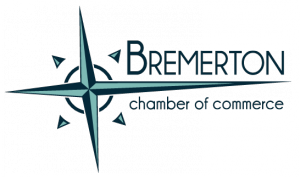 Founded in 1946, the college has three campuses in Bremerton, Poulsbo, and Shelton and serves a population of 280,000 residents living in Kitsap and Mason Counties. The Olympic College Foundation supports these efforts by providing resources for the College and its students to ensure that students excel and turn their educational dreams into reality! The College is located in the beautiful Pacific Northwest, on the Olympic Peninsula in Bremerton Washington. Olympic College is seeking a visionary and dynamic professional to serve as the Associate Dean for its Nursing programs. This individual must possess the education and clinical experience to provide leadership and guidance for OC’s innovative nursing programs. Supports and contributes to key College initiatives, including strategic planning, Guided Pathways, and Achieving the Dream. Fosters a climate of multi-cultural understanding, appreciation and outreach. Contributes through hiring and other actions to the college’s diversity initiatives. Supervises and evaluates nursing program personnel including faculty and staff. Recruits and facilitates the employment of nursing program faculty and staff. Develops and maintains cooperative relationships with the nursing program’s community partners, including clinical agencies. Develops and administers marketing and public relations plans for the nursing programs. Provides leadership in the development and revision of curriculum incorporating evidence-based standards of nursing practice. Prepares pertinent state, national, federal and related reports as required and ensures compliance with the National League for Nursing Accreditation Commission (NLNAC), the Commission on Collegiate Nursing Education (CCNE), The Washington State Quality Assurance Nursing Commission, and the Department of Aging and Adult Services (DAAS). Oversees the nursing program’s budgets in determining the best use of available nursing funds. Facilitates the acquisition of grants and other funding sources for the nursing programs. Develops and administers, in consultation with nursing faculty, a vision and systematic planning process for OC nursing programs.